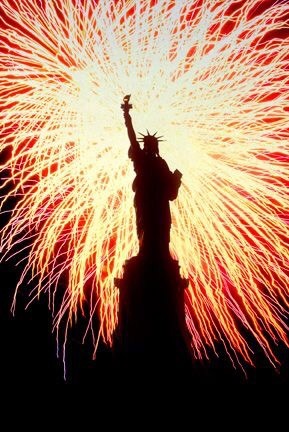 The 4th of July is my favorite holiday for reasons that It’s low stress, warm, colorful, full of friends, good times, and lots of smiles everywhere you look. What could be better??!! For me it’s also a celebration from a diet that I grew up with, American processed food. I am not an all American SAD (standard American diet) girl anymore. I don’t go for white flour products, butter, or sugar….however I do still love me some apple pie!! Only I have health goals so my version is going to be healthy AF! My opinion is, if you could eat something that was good for you, tasted delicious, and left animals the hell alone than why not change from tradition? Holidays have become auto pilot for most people, they fill their table with the same foods year after year, even though those foods are toxic for optimal health. 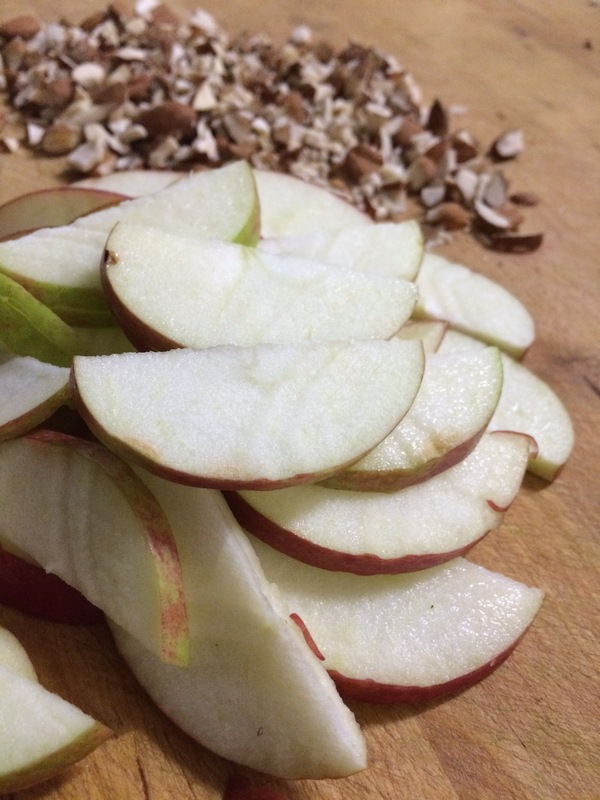 If you are willing to step outside tradition and give your body a healthy dose of fiber and essential nutrients, give this raw version of apple pie a go:). It’s a good anytime sweet treat, kids love it, and it’s something they can lend a hand in making!! This recipe is so easy and comes together in just a few minutes. 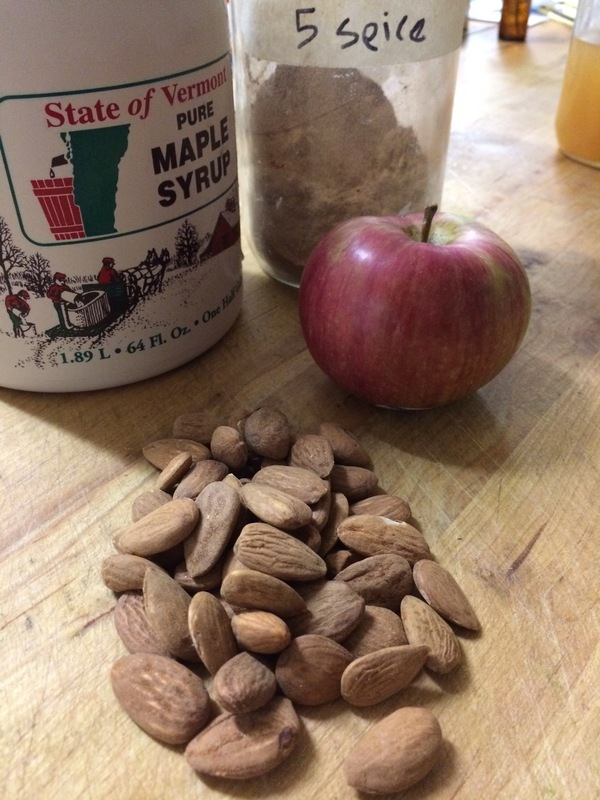 If you wan to warm the Apple pie in a dehydrator for a few hours before serving you are in for an extra special treat!! 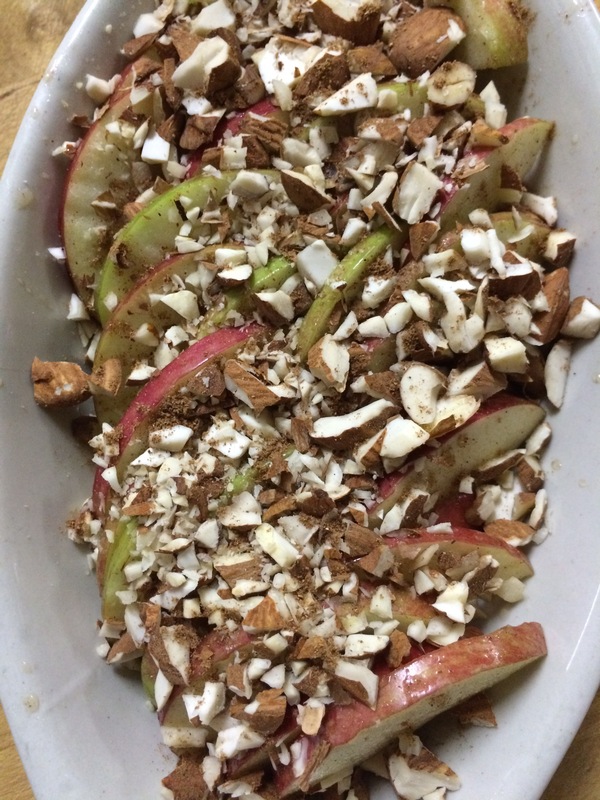 Slice the apples thinly and chop the almonds into tiny bits. 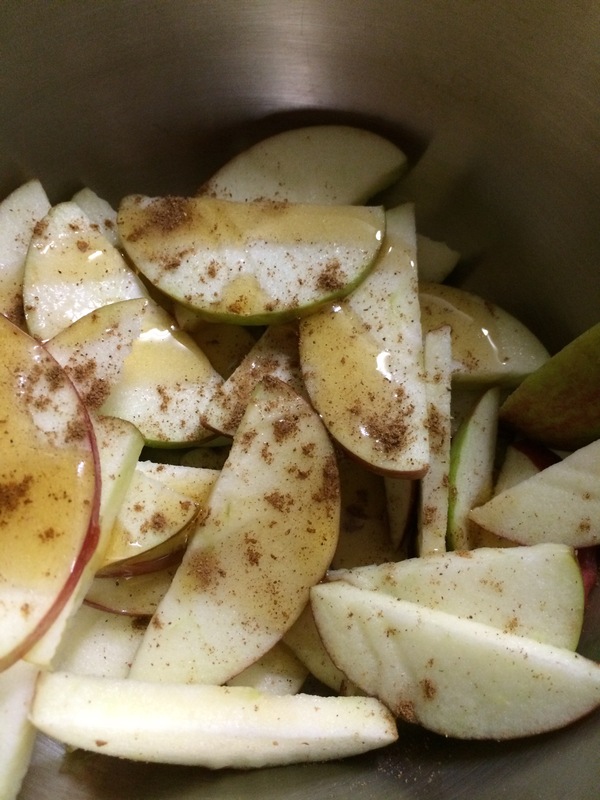 Season the Apple slices with the maple syrup and five spice powder. 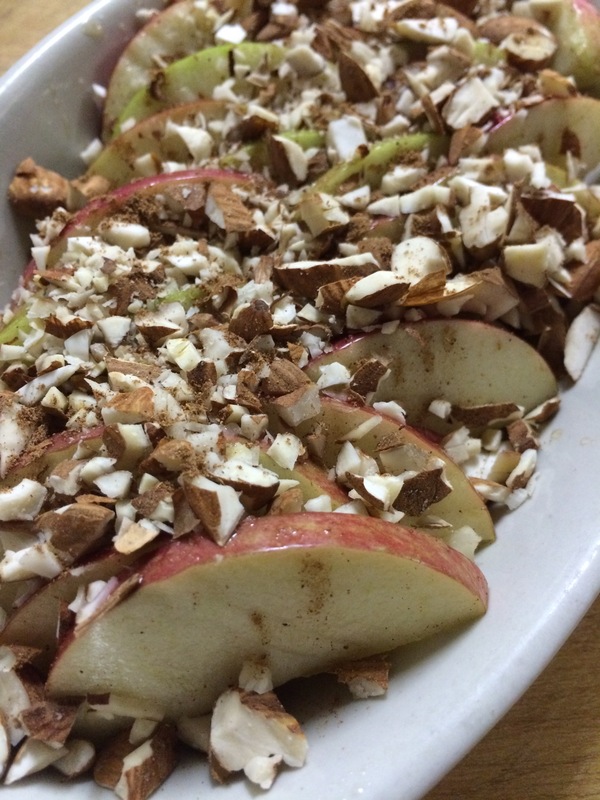 Arrange seasoned apple slices on top of half of the chopped almonds, top with remaining chopped almonds. Viola! 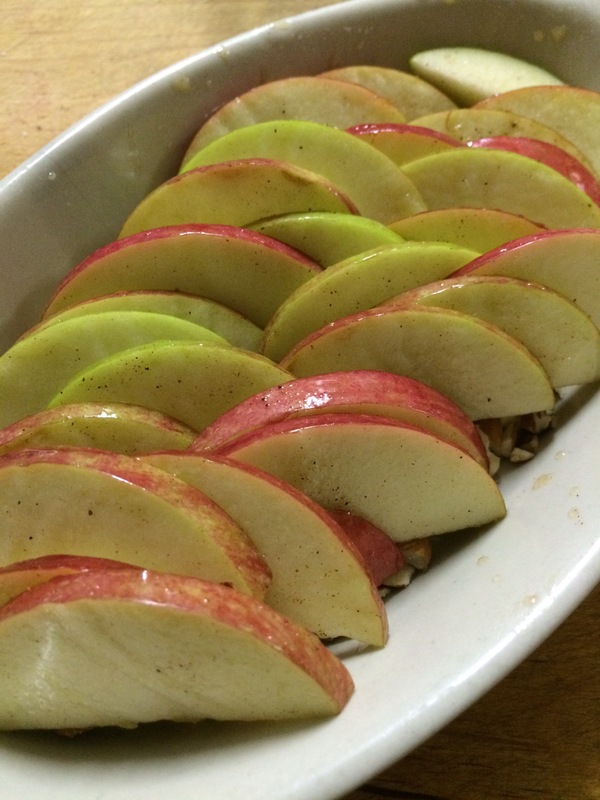 Raw Vegan Apple Pie!! Previous PostPrevious Italian Style Rawsome Dinner! Next PostNext Trying to lose weight? Eco-Atkins For Vegans! !